Man we gotta make science Cool so we can get it out to The Kids. 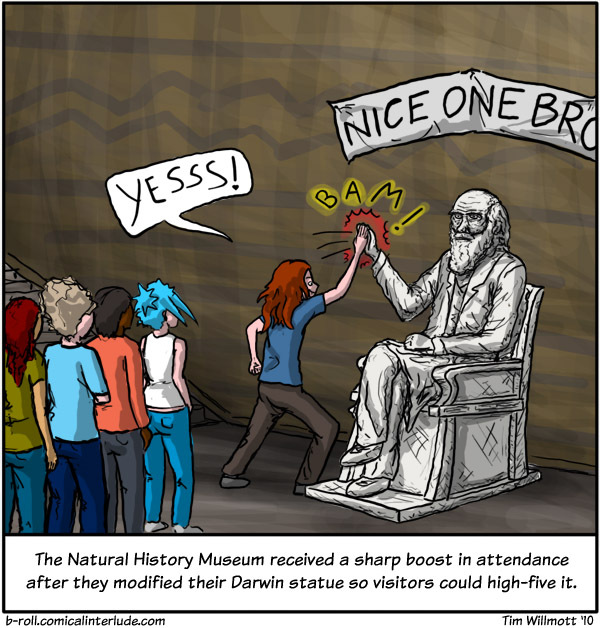 Maybe we could also have a rapping Darwin statue?? In a friendly battle with MC Gravi-T (Isaac Newton)? ?